Ahead of tomorrow’s world premiere of ‘Sisters for Sale’ in Naples, Italy, I’m excited to announce that the ‘Sisters for Sale’ soundtrack is being released today! 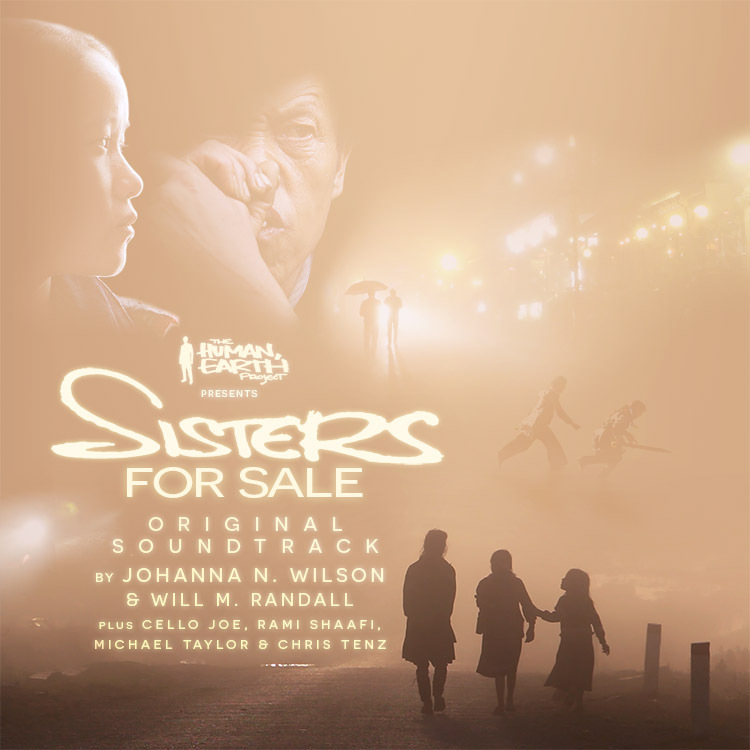 ‘Sisters for Sale’ has a gorgeous original score composed by the amazing Johanna N. Wilson and Will M. Randall. 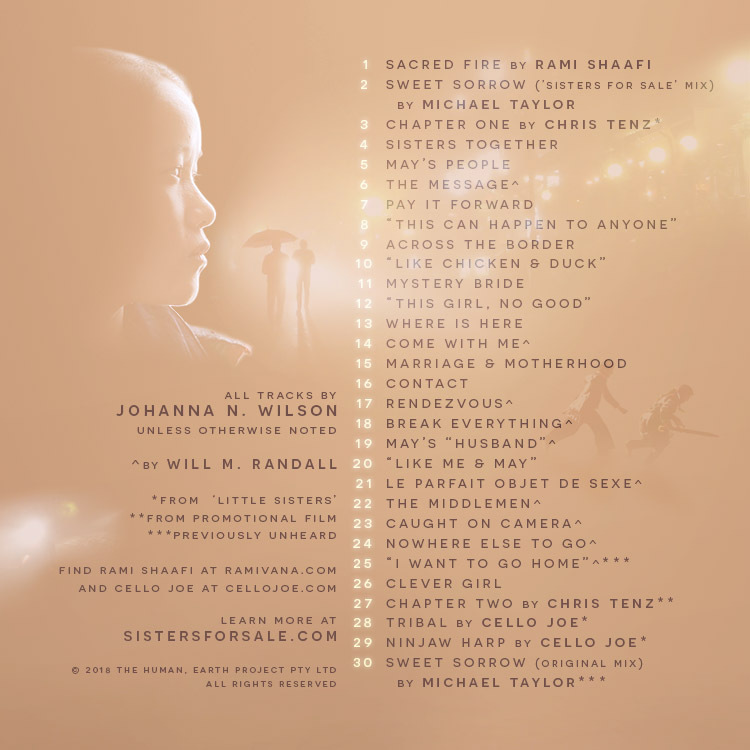 The soundtrack also features seven wonderful tracks by Cello Joe, Rami Shaafi, Michael Taylor, and Chris Tenz, whose work will be familiar to those of you who have seen our trailer, or the 2016 ‘Little Sisters’ version of the documentary. I’m really pleased with the way it has come together – altogether, there are a whopping 30 tracks, and 69 minutes of fantastic music. I’d like to thank and congratulate everyone involved for their amazing efforts. You can listen to the entire album for free on our brand new Bandcamp page, or download a copy there to support the musicians and our ongoing anti-trafficking work. It’s a bittersweet moment for us, with two of the contributing musicians – Michael Taylor and Chris Tenz – having passed away during the creation of ‘Sisters for Sale’. I’d like to thank Di, Jess, Frederik, Krista, and Chris Tenz’s parents for making this possible. 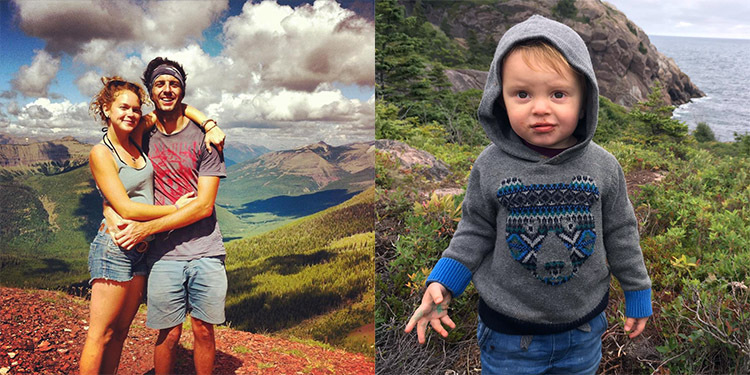 15% of proceeds from the album will benefit Michael’s infant son Finn, who never had a chance to meet his father. It’s a busy time here at ‘The Human, Earth Project’, and I’d like to thank the whole team for their hard work behind the scenes – Melissa Adams, Katie Carriero, Elisabetta Disa (yes, she’s still helping out, beyond the Italian translation! ), Astrid Hofer, Myste Laquinta, Elizabeth Martel, and our newest team member, Selina Xiong! As the title suggests, ‘Sisters for Sale’ is very much a story about women. I’m proud of the fact that our core team is now comprised almost entirely of women, as it should be (in fact, I’m the only male left!). 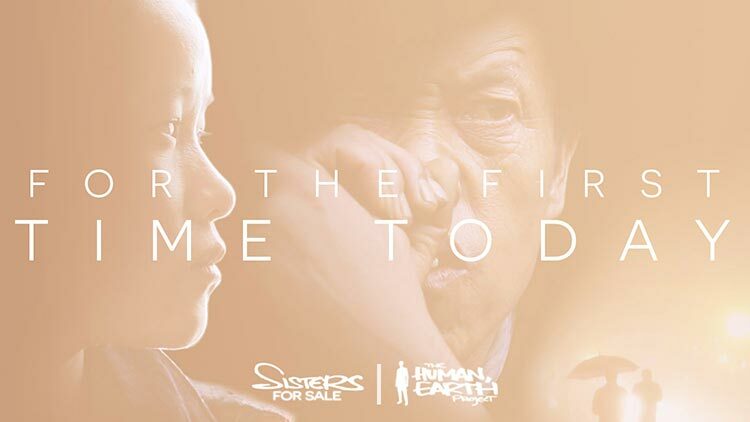 ‘Sisters for Sale’ is also a Hmong story. Many Hmong people assisted with production of the documentary and its subsequent translations, and I’ve been very glad to have the community involved with our work. Selina, in herself, is a fantastic addition to the team – and I’m delighted to have her involved, too, as a representative of the American Hmong community. ‘The Human, Earth Project’ is a small one. We don’t always have the personnel or funding to everything we want to do – but we try to do them right. I feel that’s really important. Having the project represented by people from the most appropriate demographics is part of that. We can’t yet afford to pay people, so we can’t choose our staff. It means a lot to me that the right people are coming to us. I’d love to see our amazing team members transition from part-time volunteers to paid staff members when the funding becomes available. I spend a lot of time focused on, and frustrated by, what we as an organisation don’t have. When I stop to consider the fact that this tiny, underfunded project is in reality a collection of amazing human beings pooling their time and energy into such a meaningful cause simply because they believe in it, I’m really proud to think of all the incredible things we’ve been able to achieve. I’m glad to be adding ‘Sisters for Sale’ and its wonderful soundtrack to that list. As much as I love the freedom of working remotely, there are times – like this week – it would be wonderful to have the team together to pop a cork and raise a glass. I want to thank the team, and all of you, for being part of the long, strange journey that led us here. If you want to check out the soundtrack, here’s that link again!